Recent reports suggest that Apple is working to finally come through with an iOS release to patch the various exploits which allow Evasi0n to work its magic. The iOS 6.1.3 beta 2, which released a couple of days back, patches at least one of the bugs exploited by the Evasi0n jailbreak and likely spells the end of the Evasi0n jailbreak for devices pre-installed with iOS 6.1.3, while those on iOS 6 will need to refrain from updating their software. While some tests are still running currently, it’s been reported that the patched vulnerability pertains to the Time Zone settings and the chain reaction of having one exploit patched will have devastating effects on the Evasi0n jailbreak. 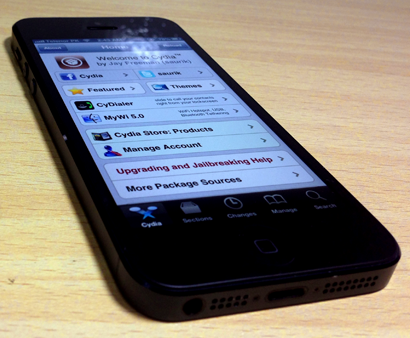 Since the Evasi0n v1.0 release, several million iPhone, iPad and iPod touch devices having been jailbroken. And now before we begin lamenting the demise of the tool it could be up to a month before such an update is released. By then, the only recommendation is not to perform any kind of update on your device on any upcoming iOS release until it’s deemed safe to do so. Apple, regardless its lack of urgency in issuing a patch, still refutes idea of jailbreaking, so once you do update your software on the latest public version, there is currently no way of reverting back on any of the newer devices.